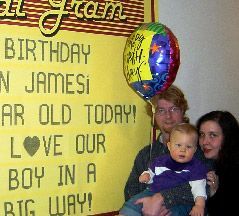 Send a Big Message to Create a Big Impression! A Colossal Gram is really awesome! They are nearly 5 feet by 7 feet and say it in a Big Way! 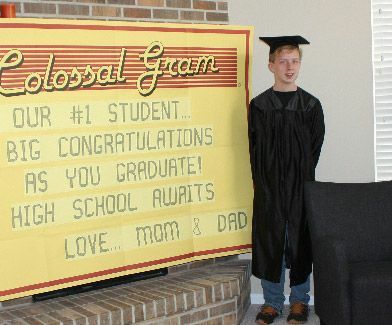 A Colossal Gram is truly a unique personalized gift that offers endless possibilities to congratulate, motivate, promote or celebrate any special occasion. 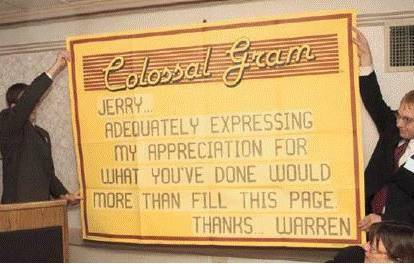 When you create your big message and send it on a Colossal Gram, you express your idea or feeling in a way that stands out. It will long be remembered! Affordably priced at $20.95 plus shipping. Dependable delivery via either UPS or FedEx. 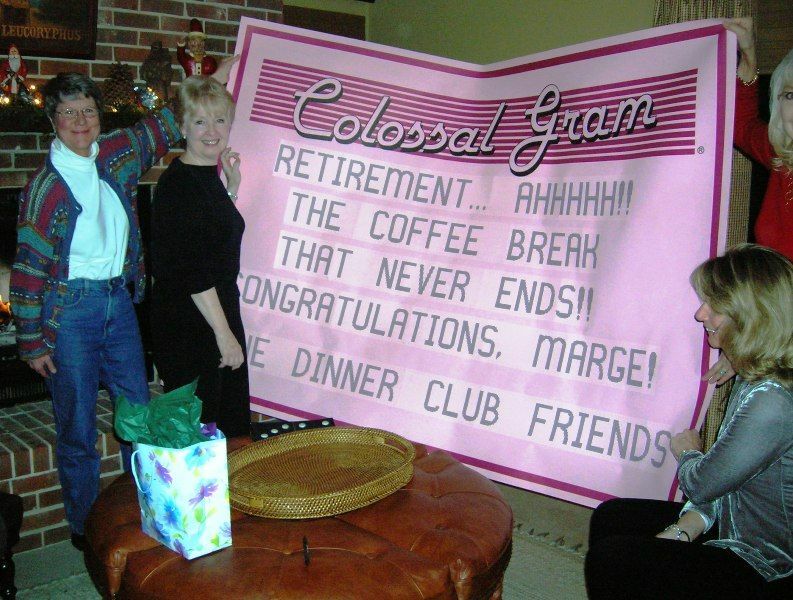 Colossal Grams are ideal for both business and personal greetings. They are available in yellow or pink for all occasions. Our special Holiday Gram™ features a colorful red and green holly border on a white background. It is offered during the December holiday season. Your big message is printed in 4 inch ALL CAPITAL letters on long strips of paper. 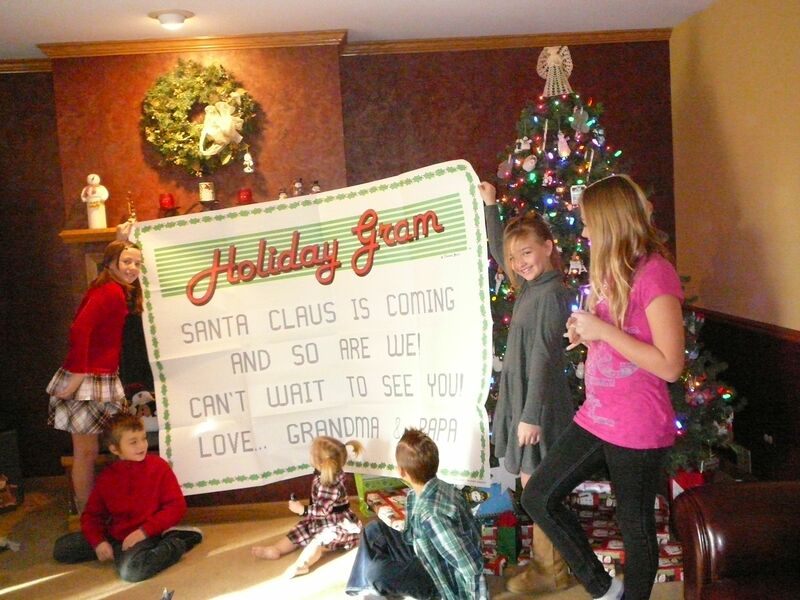 The message strips are individually glued to the huge Colossal Gram or Holiday Gram. This replicates the fashion in which traditional telegrams were originally made. It is then folded and shipped in a large 15 inch by 20 inch envelope. 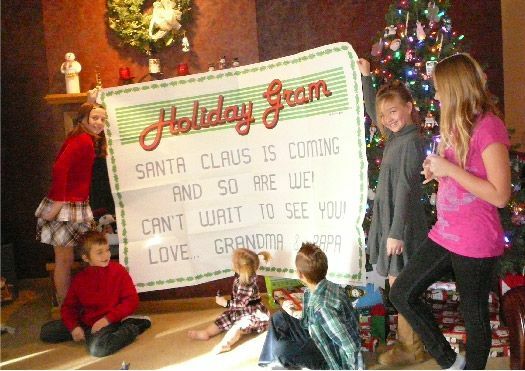 FedEx or UPS delivers your Colossal Gram in a timely manner. 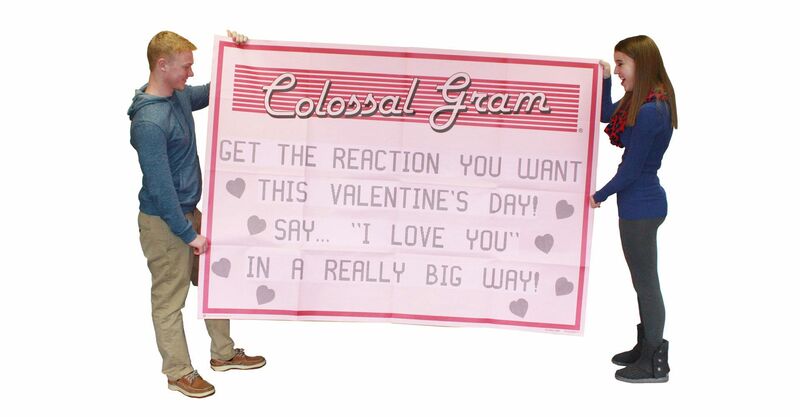 When it arrives, the recipient unfolds… and unfolds… to dramatically reveal your big message. Wherever opened, Colossal Grams are certain to surprise and impress everyone. For events and parties they can be hung on a wall for all to see. 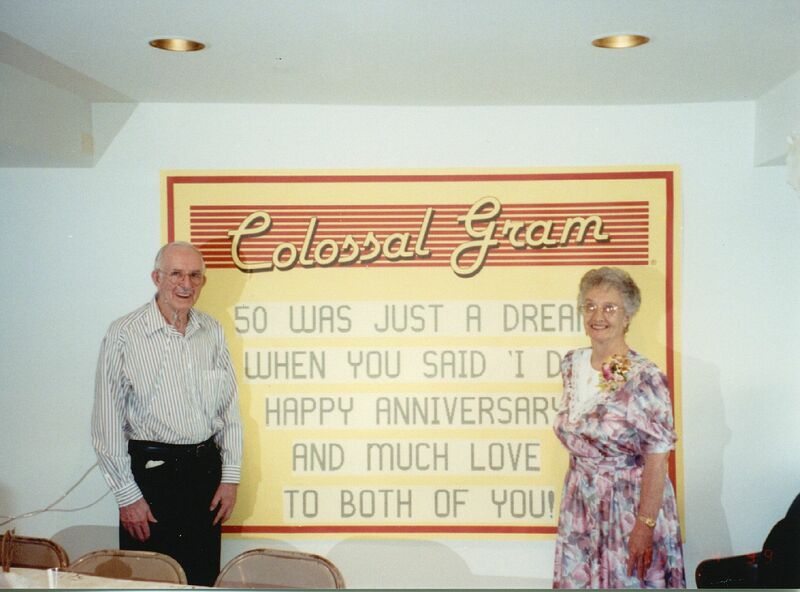 Often guests will sign or write personal notes on the Colossal Gram in recognition of the special occasion. It becomes an instant memorable keepsake! Throughout our website you can find Example messages for many different occasions. 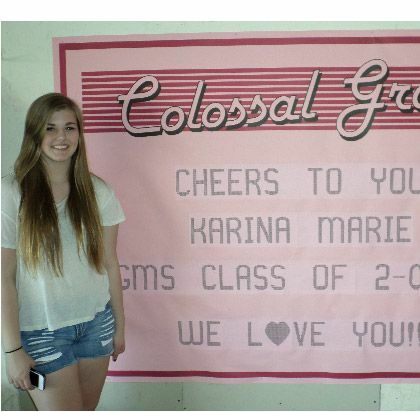 If you need help creating your personal big message, our experienced Colossal Gram customer service team is available to assist you. 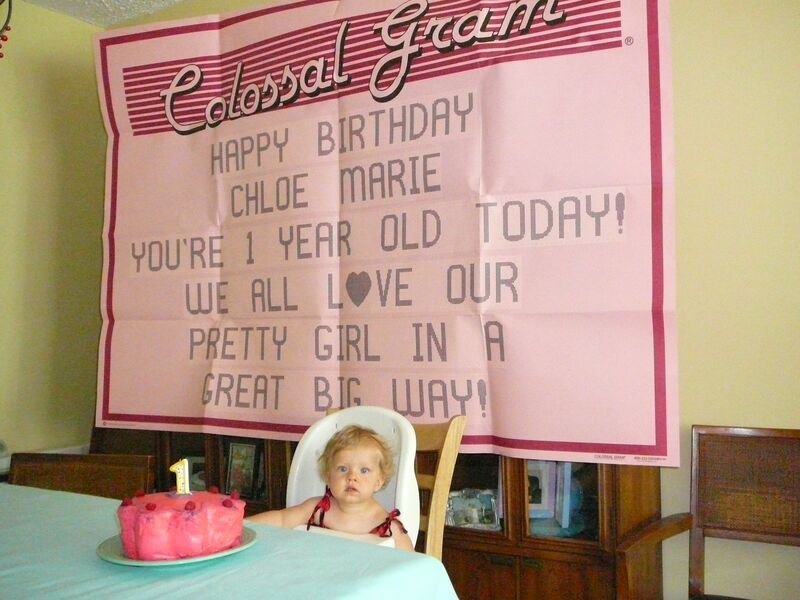 Call us at 847-223-5757 or email us at info@colossalgram.com to discuss your big message ideas. You can also go directly to our Order page to place your order now. Colossal Grams are affordably priced at $20.95 plus shipping. Contact us to inquire about our quantity discount pricing. When ordering as few as five Colossal Grams at the same time, you can save. For many years Colossal Grams have been producing long lasting smiles while making a BIG Impression wherever they are unfolded. They are as much fun to send as they are to receive. Join the fun! 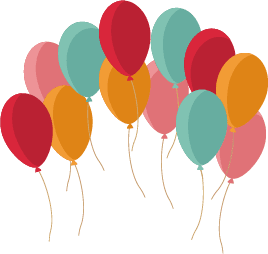 Celebrate any occasion in a fun way! 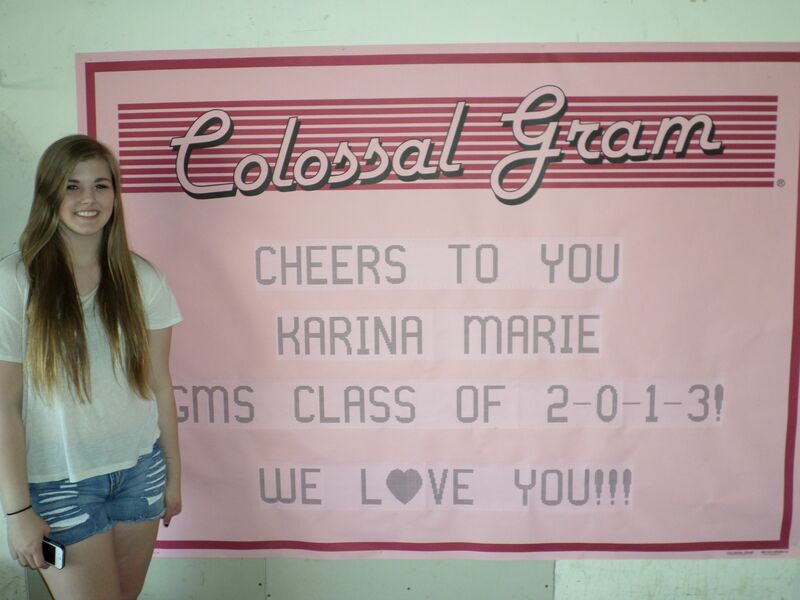 Create a special big message on a giant novelty telegram. Businesses love Colossal Grams too! Our fax machine has been woefully underutilized. We have carefully thought about it and have made a decision regarding its fate.